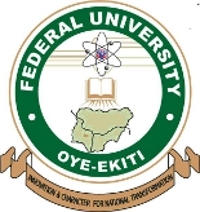 Federal University Oye-Ekiti (FUOYE) Hostel Accommodation Bookings, Fees, Application and Registration Guidelines for 2018/2019 Academic Session. Authorities of the Federal University Oye-Ekiti (FUOYE) has released the procedure and guidelines for payments of hostel accommodation for the 2018/2019 academic session. NB: For more information contact studentaffairs@fuoye.edu.ng.